Sen. Jeff Flake - "A Bridge Too Far"
Sen. Jeff Flake (R-AZ) was a guest on NBC's Meet The Press along with the odious Sen. Chuck Schumer (D-NY). Among the questions they discussed with Chuck Todd of NBC was gun control. Schumer gave the usual answers but as you can see in the video below, Flake called universal background checks "a bridge too far". Sen. Flake is one of the senators that is being targeted by Mayor Bloomberg's Illegal Mayors in their $12 million ad campaign. MAIG was out front about hoping to influence Flake's vote on gun control issues. That he has come out saying that universal background checks are a no-go for him is good news. He is one of the co-sponsor's of S. 480 - NICS Reporting Improvement Act of 2013. This bill aims to clarify the mental health exclusions to firearms ownership. I came across this video about love in the modern world on the KitUp! blog. It's a song about a gun owner who is in love with an anti-gunner. That is just so sad! I just can't imagine how hard that would be. Checking out his YouTube channel which contains a number of other funny tunes and shooting videos, I think this story may have had a happy ending. Check out the rings fingers of those two as well. Looks like a wedding ring to me! You can find the lyrics to "I'm In Love With An Anti-Gunner" by going here and clicking show more. 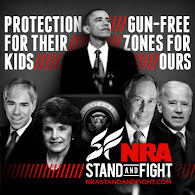 GOAL - the Gun Owner's Action League - is the NRA state affiliate in Massachusetts. They will be holding a rally in support of the Second Amendment on Boston Commons this coming Wednesday. Included in the list of speakers is Alan Gottlieb of the Second Amendment Foundation and Richard Pearson of the Illinois State Rifle Association. Support - Defend - Speak Out - Take a Stand! This is your opportunity to make your voice heard to your state lawmakers! It is critical that you attend this important rally to show your support for our Second Amendment rights. If able, please schedule meetings with your state legislators in advance, and spend the day networking with other Second Amendment supporters. Youtube sensation Yang Li and more! Reminder: City of Boston Parks & Rec Commission has regualtion prohibiting CCW on the Boston Common which carries a fine of up to $50.00. Also, CCW is not allowed in the State House. Location: Start at Parkman Bandstand on the Boston Common (see google map below) event will proceed to the Massachusetts State House. Transportation: MBTA Park Street Station on the Green Line. Driving: Directions, click on "directions" on the google map below. GOAL urges all affiliated clubs to organize a charter bus service to transport your membership to this rally! TALKING POINTS - Download and print this pdf featuring information which covers 6 separate bills and their affect on MA gun owners. Who is your legislator? Find out by clicking here and entering your zip code. Don't forget to contact them before the event, make sure that they will be able to meet with you on the day of the rally at approximately 2:00 pm. Contact/Invite your state representative and state senator. It was a hot night in the city last night. While the weather was just warm, the teen mob violence on Chicago's Magnificent Mile became rather hot with 28 arrested. According to multiple reports, a mounted policeman was assaulted, passerbys were attacked, and a group of women were attacked on a Chicago Transit Authority train. In response to this out of control mob, the Illinois State Rifle Association reiterated their calls for the firing of Chicago Police Superintendent Gerry McCarthy. They are calling it "one rampage too many." The ISRA is once again calling upon Chicago Mayor Rahm Emanuel to fire Police Superintendent Garry McCarthy . This latest call for McCarthy's ouster comes after a mob of young thugs - estimated to be in the hundreds - swarmed the Magnificent Mile shopping district Saturday night and began beating dozens of innocent shoppers. This latest mob action appears to be the most serious in a string of events over the past two years involving gangs of youths randomly attacking shoppers on North Michigan Avenue. "Just like dyeing the Chicago River green on St. Patty's Day, cracking tourists' heads on North Michigan Avenue is becoming a Windy City tradition," commented ISRA Executive Director, Richard Pearson . "The first warm night of the year, and all hell breaks loose in the city's most tony shopping district. It should be clear to everybody by now that Supt. McCarthy has lost control of the city. What are things going to be like when the weather really heats up? What has to happen before Emanuel wakes up and gives the nod to a more effective top cop?" "The ISRA has been cautioning folks against making Chicago a leisure time destination for a few years now," continued Pearson. "Unless you're the kind of person who wants to be terrorized, beaten, raped or robbed, then you should definitely find another place to vacation. For the law-abiding citizen, Chicago has become just too dangerous to visit." "While vicious mobs have been busily destroying Chicago's tourism industry, Mayor Emanuel and Supt. McCarthy have been busy as well  vilifying law abiding firearm owners," said Pearson. "If they spent more time thwarting crime and less time trying to take guns away from hunters and sportsmen, then Chicago might be a better place in which to live and work." "The sad events of Saturday night will certainly bolster efforts to pass concealed carry legislation down in Springfield," said Pearson. "Good people have a right to defend themselves against lawless thugs. I'm positive that the prospect of encountering armed citizens would make such flash mobs vaporize in a hurry." The ISRA is the state's leading advocate of safe, lawful and responsible firearms ownership. For more than a century, the ISRA has represented the interests of millions of law-abiding Illinois firearm owners. North Carolina State Senators Jeff Tarte (R-Mecklenburg), Andrew Brock (R-Davie), and Shirley Randleman (R-Stokes) have introduced SB - Lawful Citizens Self Protection Act. This bill would expand where Concealed Handgun Permit holders could carry and includes a employer parking lot provision. Grass Roots North Carolina issued an alert today on the bill asking North Carolinians to contact their state senator and to thank Sen. Jeff Tarte for his leadership on this issue. Sen. Tarte is a freshman who ran on a platform of protecting and advancing gun rights in the state. Last week, Senator Jeff Tarte (R-Meckenburg, GRNC ****) along with Sens Andrew Brock (R-Davie, Iredell, Rowan, GRNC ****) and Shirley Randleman (R-Stokes, Surry, Wilkes, GRNC ****) became the primary sponsors for SB 408, the “Lawful Citizens Self Protection Act”. The bill would expand areas in which lawful Concealed Handgun Permit holders may carry or keep firearms for self protection. The bill makes changes primarily to G.S. 14-269.3 which currently restricts all guns from being carried in establishments where alcohol is sold and consumed, and G.S. 14-277.2(c) which restricts all forms of carry at parades, picket lines, funeral processions and demonstrations. Another change within SB 408 establishes the legality of CHP holders to lawfully keep and secure their firearms in locked vehicles at their places of work. The bill would prevent business owners from establishing policies which would prevent CHP holders from locking their weapons in their vehicles while they are at work, enhancing their ability to protect themselves if the need arises. GRNC applauds SB 408's sponsors, Sens. Jeff Tarte, Andrew Brock and Shirley Randleman for boldly stepping up for the rights of gun owners across North Carolina. This bill, along with others introduced in the past few weeks, will greatly enhance all of our abilities to legally defend ourselves in the case of an ever-growing public threat. We urge you to contact the NC Senate Leadership and your State Senator and let them know that you expect their full support in passing SB 408 in short order. Suggested Subject: "Support SB 408, Lawful Citizens Self Protection Act!" Please support Senate Bill 408, the "Lawful Citizens Self Protection Act", not only by giving it your vote on the Senate floor, but by contacting Senate leadership to ask for an expeditious hearing. The bill would expand our concealed handgun law into establishments where our families visit every day, as well as providing a resource of protection at our places of employment. Despite predictions of mayhem, states like Virginia which have adopted restaurant carry have exhibited virtually no problems. Since inception of our law in 1995, concealed handgun permit-holders have spent eighteen years proving themselves sane, sober and law-abiding. With violence creeping into our schools at an alarming rate, we must have the ability to protect our children from further tragic events. While law abiding citizens stand by virtually helpless, our children are being slaughtered. We must have the ability to protect ourselves and our families. I will be monitoring action on this bill via Grass Roots North Carolina legislative alerts. Greg Hickok - Hickock45 on YouTube - just did an excellent overview of the Swedish M96 Mauser and the 6.5x55 cartridge. This is a rifle and round that I really like. My very first rifle purchased with my C&R license was a Swedish M38 Mauser made by Husqvarna. Over time my collection of Swedish Mausers has expanded to the point where I'm only missing the M94. Greg goes through some of the history of the M96, compares it side-by-side to the German K98, and then provides some shooting demonstration of the rifle. For those that think the 6.5x55 round is a bit light for big game, it has taken many an "elk" (or moose as we call them) in Sweden. The title of this post comes from Doug Bowser's excellent guide to all the Swedish Mausers and the Ag/M42 Ljungman. The book which had long been out of stock is now available from Empire Arms. If you have a Swedish Mauser or want one, I can highly recommend this book. Late this afternoon, the US delegation to the United Nation's Arms Trade Treaty talks said that the US would vote "yes" on the Arms Trade Treaty regardless of whether other countries do so. In the past, the US had insisted on a consensus for this treaty. The National Sports Shooting Foundation issued an immediate response taking issue with the US position. NSSF Objects to U.S. Government Abandoning Position that U.N. Treaty Must be based on International "Consensus"
NEWTOWN, Conn. -- The National Shooting Sports Foundation today strongly objected to the last-minute reversal of the U.S. government position regarding the United Nations Arms Trade Treaty. In the closing hours of negotiations on Thursday, March 28, the government abandoned its previous insistence that the treaty be approved only through achieving “consensus” of all the member states. Requiring consensus had been the United States position going back to earlier administrations. At the end of the session, a U.S. government spokesperson told reporters “It's important to the United States and the defense of our interests to insist on consensus. But every state in this process has always been conscious of the fact that if consensus is not reached in this process, that there are other ways to adopt this treaty, including via a vote of the General Assembly.” The spokesperson went on to say that the United States would vote “yes” on the treaty in the General Assembly, regardless of the positions of other member states. By abandoning the requirement for consensus the United States is assuring passage of the treaty by the United Nations. Industry analysts have identified three major areas of concern with the treaty text. The treaty clearly covers trade in civilian firearms, not just military arms and equipment. It will have a major impact on the importation of firearms to the United States, which is a substantial source for the consumer market. And it will impose new regulations on the “transit” of firearms, the term defined so broadly that it would cover all everything from container ships stopping at ports to individuals who are traveling internationally with a single firearm for hunting or other sporting purposes. “We hope that the Members of the U.S. Senate are closely watching the White House abandon its principles and promises in the rush to ramrod this flawed treaty into effect. Not only will they later be asked to ratify this attack on our constitution and sovereignty, but they will also be lavished with new promises from the administration in its drive to push a broad gun control agenda through the U.S. Senate when it returns from recess. They would be right to question those promises strongly,” concluded Keane. No More Nanny? No More Mumbles? What in the world is Mayors Against Illegal Guns going to do next year? Their more well-known co-chair, Mayor Michael Bloomberg, is term limited and can't run again for mayor of New York City. Meanwhile, his erstwhile co-chairman, Mayor Thomas "Mumbles" Menino, announced yesterday he won't be running for a sixth term. Given that the whole organization runs on Bloomberg's money, I wouldn't be surprised if they gave Bloomberg some sort of honorary title like Chairman Emeritus and let him continue to run the organization behind the scenes. As to Mumbles, unlike many of his other mayors, at least he won't be spending his retirement in prison. United Network Of Rational Americans? Huh? A new group pushing gun control and background checks has emerged on the scene. Calling themselves United Network of Rational Americans, they have just released a gun control video. The video quotes the late Ronald Reagan from 1991 as saying that if there had been background checks in 1981 then he and Jim Brady would never have been shot. Ignoring President Reagan's statement and his later signature on a letter supporting the 1994 Assault Weapons Ban which one of his own sons has attributed to the onset of Alzheimer's disease, just who the heck is United Network for Rational Americans? It appears to be the invention of Scott Crider of Watchdog Causes LLC. Located in Gulf Shores, Alabama, Watchdog Causes calls themselves a "a progressive-leaning social media & online/interactive marketing consultancy." They are the ones responsible for inventing and promoting the Dogs Against Romney campaign which did draw a good bit of media attention. "We need to convince Republicans in Washington. Reagan lived by the Grace of God, not because he had armed security. And he lived to tell Republicans in Washington today to use your brains, use your hearts, and have enough guts to do what's right," says Scott Crider, the creator of UNRA. "Instead of being selfish and worrying that the NRA will give you a primary opponent in your next election, worry about that next child that will get murdered by a madman with a gun if you don't do your job." From his resume, Crider states he is a 1987 graduate in communications from Ouachita Baptist University and independent social media and interactive marketing consultant. An award-winning digital marketer and social media strategist with real-world accomplishments and quantifiable results, Scott Crider has 25- years of experience as a marketing executive. A digital marketing leader and innovator for more than 15-years, Crider drives the strategy and execution of digital marketing programs that leverage viral opportunities in social media and related applications. With a proven track record of identifying high-impact opportunities and innovative strategies for clients and brands, Crider focuses on application strategy and technology integration within the social media space. Beyond a Facebook page and a website, there doesn't seem to be much to UN-RA. Despite The Hill calling them a "pro-gun-control group", there doesn't seem to be much group there. Their Facebook page was put up on March 6th and their webpage only has its first posting on March 19th where they are pushing bumper stickers and magnets. The UNRA (United Network of Rational Americans) is composed of people and groups who support the 2nd Amendment and honor America’s history of responsible gun ownership. Many UNRA members own guns, store them and use them responsibly, undergo training to learn to defend themselves and their families, and participate in hunting and shooting sports. Given their sparse background and their recent creation, it would be interesting to know just where the money is coming from for the video and webpage that seems to be targeting Republican politicians. Is it coming from Mr. Crider's own pocket or is it being funneled to him groups like Obama' Organizing for America or Bloomberg's Illegal Mayors? I doubt we will ever really find out the answers to this question. In the meantime, we should keep monitoring this group if only because Mr. Crider has been successful in garnering media attention for lefty causes in the past. Old NFO has a very interesting post up about an abandoned airstrip located on the Pacific island of Tinian. What makes North Field and Runway Able of note is that it is where the instruments that ended WWII took off from. Those instruments were two B-29s - the Enola Gay and Bockscar - which carried "Little Boy" and "Fat Man". In other words, the planes that carried the atomic bombs that were dropped on Hiroshima and Nagasaki. My dad was in an Overseas Replacement Depot in Florida having returned from service with the Army in the Caribbean Defense Command. He could very well have been reassigned to Operation Downfall for the invasion of Japan. As it was, VJ Day was August 14th and my parents were married later that month. Read Old NFO's full account as it makes interesting reading for those interested in the history of WWII. A Hearty Cheer For Sean! Sean Sorrentino of An NC Gun Blog made the news yesterday. He, in his own words, crashed a MAIG press conference held in Durham, North Carolina. I think when they saw Sean there they assumed he was one of them. After all, he is a younger looking guy with a ponytail. Oh, little did they know! Sean asked them about Sen. Harry Reid's S.649 which is an amalgam of a number of gun control bills. It was a good question and one that has an obvious answer. It wouldn't. As a side note, I recently participated in a webinar put on by the UNC School of Government recently. One of the last questions asked came from the town attorney of Chapel Hill. He wanted to know if a "large capacity assault weapon" could be considered a weapon of mass destruction under NCGS 160A-183. That statute says a town or city can prohibit "any weapons or instrumentalities of mass death and destruction". He was told it wasn't and that the town was preempted from regulating firearms. I mention this because it goes to show just how far towns run by Mayor Bloomberg's Illegal Mayors are trying to go. Go to Sean's blog, read the whole account, and watch the video. Sean deserves a lot of credit for going there and standing up for what is right. The search warrant for the Newtown shooter's home was released yesterday. This occasioned a number of stories about what was found. The detestable Piers Morgan tried to claim that both the shooter and his mother were NRA members based upon certificates for completing a basic NRA firearm safety course and a copy of the "NRA Guide to the Basics of Pistol Shooting" being found in the house. The NRA confirmed later that neither the shooter nor his mother were members. CBS News reported that the police found a number of firearms and knives. Authorities found numerous knives, including samurai swords. They found a military-style uniform in Lanza's bedroom and handwritten notes containing the addresses of local gun shops. The guns found at the home included a .323-caliber Enfield Albian bolt-action rifle, a .22-caliber Savage Mark II rifle, a BB gun and a .22-caliber Volcanic starter pistol. Normally, when we see such obvious mistakes in a report from the mainstream media, we would pass it off to their persistent lack of knowledge about firearms. While the lack of knowledge about firearms may be present in this case, that description of a ".323-caliber Enfield Albian" rifle comes directly from the search warrant inventory. The search and inventory of the house was conducted by the Connecticut State Police Major Crime Squad and their forensics team. If you look on pages 8 and 9 of the released search warrant and inventory, you will see listed a number of items. In particular look at Item 13 and Item 14. The first is the contents of a gun safe which included two boxes of .303 British ammunition. The second is a rifle described as "One Enfield Albian bolt action rifle, .323 caliber, model no. 44MKI, SN HC22273A". The inventory was signed by Detective Jeffrey Payette, #679, of the Connecticut State Police. In all likelihood, the rifle in question is an Enfield SMLE No.4Mk1 in .303 caliber made at Albion Motors during WWII. Given that the Connecticut State Police found .303 British ammunition at the home, one would have thought that the detectives would have made the link between the ammo and the rifle. That they didn't goes to show that just because a cop carries a gun it doesn't mean that he or she knows much about firearms. But What About The Sequester? I guess the sequester is for screwing the military and the little people. That is the way it seems. Otherwise why would the Bureau of Alcohol, Tobacco, Firearms, and Explosives be spending good money in this time of cutbacks to revamp their website. I received an announcement from BATFE in yesterday's email that "ATF.gov is Getting a New Look!" The email announced all the new features that the upgraded website would have including a library, a tab-based structure, and user-friendly navigation. I'm sure having a new, more user-friendly, look and feel to their website would be a useful. However, given the size of the budget deficit, it seems a little frivolous to be spending money on the website graphics when it could be better spent on picking up violent felons. Or maybe it is all a joke given the new website goes live on April 1st. The letter from BATFE is below since it doesn't seem to be on their old, less user-friendly website. As part of our ongoing overhaul process of ATF.gov, our site is getting a new look and added features in the coming weeks. ATF.gov will continue to provide the wealth of relevant information, statistics, and news updates that you have come to expect. Look for the updated site to “go live” on April 1, 2013! • User-friendly navigation: This new topic-based approach helps you find what you need easily and quickly. The new look allows you to immediately choose the ATF related topic you are interested in and effortlessly find the information you are looking for. • Tab-Based Structure: A conveniently organized tab structure will allow easy access to information you need most at ATF.gov without having to constantly go to another page. • Library: We have placed all of our forms, publications, rulings, and other relevant documents in one easy to navigate location! Additional features and aesthetic enhancements will roll out between Spring and Fall 2013, culminating in the all-new ATF.gov! We invite your feedback though our online surveys, and look forward to hearing from you. You can get darn near anything at your local Walmart including, it seems, a 10-point buck. That was the case at the Burrell Township, Pennsylvania store back in November on the opening day of deer season. Arcangelo Bianco Jr. had just pulled into Walmart when the 10-point buck came around the corner of the building. Not one to let an opportunity like this go to waste, Mr. Bianco hopped out of his truck and started firing at it with his pistol. And there begins his troubles. Which is why Arcangelo Bianco Jr., 40, finds himself in trouble with the Pennsylvania Game Commission. According to the commission, Bianco fired several rounds at a hapless white-tailed deer from within the Burrell Township store’s parking lot and bagged the animal on the other side of Old William Penn Highway (Old Route 22) one afternoon last November. The most serious of the charges he faces is a misdemeanor count of reckless endangerment. He also was slapped with five summary offenses, all hunting law violations, including hunting without a license, shooting on or across highways and unlawful killing or taking of big game. “Obviously, we can’t have someone running through a Walmart parking lot shooting at a deer,” said Jack Lucas, the wildlife conservation officer who investigated the incident. After killing the deer, Mr. Bianco loaded it up in his truck and took it to the local meat processor to be butchered. Unfortunately, he didn't get to keep it as it was seized as evidence in the case. Officer Lucas notes that the deer and surveillance footage from the Walmart security cameras will be used as evidence in court. He also said that the buck that Mr. Bianco shot was probably the best he'd seen in the last two years in Indiana County. I guess the moral of the story is that just because you can get something at Walmart doesn't mean you should. UPDATE: CBS Pittsburgh is also covering the story and they have video of the Walmart. I like the comments of the District Attorney who says that they are a big hunting community and that people who are legitimate hunters are upset about the incident. Mr. Bianco is also charged with violations of game laws as they carry stiffer penalties. He faces his first hearing on May 1st. So many Illinois residents have applied for a Firearm Owner's ID Card (FOID) since December that it has swamped the system according to a report by CBS Chicago. The Illinois State Police report that they have a backlog of over 70,000 applications for the card. This backlog has created extraordinary wait times to receive the card. The FOID card is required to purchase both firearms and ammunition in the State of Illinois. People applying for Illinois Firearm Owner’s Identification cards are waiting more than 60 days as the State Police experience one of its busiest months ever processing applications, spokeswoman Monique Bond said Tuesday. More than 70,000 FOID card applications have been received in March, Bond said, putting it on track to be the record month so far for the program. According to stats from the State Police website, they received 31,078 applications in December 2012, 61,172 in January 2013, and 56,078 in February 2013. To put this perspective, the January figure is their all time high and the December and February figures are the record numbers for that month of the year. When the March applications are added to the January and February applications, the number of applications received in the first quarter of the year will be more than 50% of what was received in 2012. The Department of State Police shall either approve or deny all applications within 30 days from the date they are received, and every applicant found qualified pursuant to Section 8 of this Act by the Department shall be entitled to a Firearm Owner's Identification Card upon the payment of a $10 fee. Nothing in the statute says anything about exceptions for processing larger than normal numbers of applications. Gun store owners are disputing the amount of time that the Illinois State Police say that people are actually waiting. However, the state police’s contention that applicants have to wait 64 days for a card is disputed by Greg Tropino Sr., president of GAT Guns in East Dundee. He told The (Elgin) Courier-News that he is hearing from his customers that it is taking them 10 to 15 weeks to receive a FOID card that gun owners in Illinois are required to have. Mr. Tropino goes on to suggest that when people hear that items will be banned that they rush to buy them before that happens. As the quote attributed to Dr. Martin Luther King, Jr. states, "A right delayed is a right denied." Another One For The Road, Mayor Lowe? Mayor Bloomberg can add another of his fine group of mayors to the Illegal Mayors file. 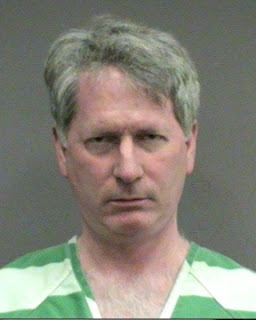 Mayor Craig Lowe of Gainesville, Florida was arrested by the Florida Highway Patrol on charges of DUI with property damage. According to reports, Mayor Lowe was found asleep behind the wheel of his wrecked Honda Civic this past Thursday. He failed the field sobriety tests administered by the FHP. According to the story in the Washington Free Beacon, Mayor Lowe, a Democrat, is in a run-off election on April 16th. He is due to appear in court on April 11th. Mayor Lowe was one of 30 mayors featured in a recent MAIG video "demanding a plan". He appears at about the 19 second mark and is given the honor of saying "Newtown" in their list of mass shootings. He looks considerably better and more polished in his dark suit and lavender tie than he does wearing a green-striped jumpsuit as in the picture above. Illegal Mayors have a way of disappearing as if they were disgraced members of the Soviet Politburo. Instead of not being seen at the May Day parades, they disappear from the MAIG website. A screen capture of their webpage taken this morning still shows Mr. Lowe as a member in good standing of MAIG. I wonder how long that will last. If you are either a Life Member or a 5-Year Member of the National Rifle Association, you should have received your ballot for the NRA Board of Directors in the March issue of the American Rifleman/American Hunter. There are 29 people listed on the ballot and the Nominating Committee has selected 28 for endorsement. However, you can only vote for 25 directors. Ballots must be returned and received by April 14th. Dave Hardy has his endorsements for the board up here. He, like me, believes in strategic voting. This means only voting for the 5 or 6 that you consider the best. Dave categorizes them as either indispensable or very, very good. In the indispensable category he places Steve Schreiner, Carol Bambery, and Jim Porter. In the very, very good category he adds Sandy Froman, Lance Olson, and Bob Sanders. Charles Cotton from the Texas Firearms Coalition and a current NRA board member has his endorsements up here. He, like Dave, endorses both Carol Bambery and Jim Porter. He adds Dwight Van Horn as well. He considers the three all very hardworking and people who get down in the trenches to do the heavy lifting. Lt Col. Robert Brown, editor and publisher of Soldier of Fortune magazine and a NRA board member, has his endorsements up here. Col. Brown enthusiastically endorses Steve Schreiner for the board. SOF also recommends Tom King, Carol Bambry, Johnny Nugent, Jim Porter and Oliver North. Both Schreiner and King are on the front lines of the battle for the Second Amendment as they are in Colorado and New York respectively. Jeff and Chris Knox of the Firearms Coalition has traditionally put forth endorsements. Their late father Neal Knox was one of the engineers behind the Cincinnati Revolt of 1977. This year they have not made any endorsements. They don't think their endorsements would make any appreciable difference and that all the candidates they would endorse are pretty much assured election as are some that they aren't too thrilled about. Retired Texas Ranger Joaquin Jackson is a current board member and has been nominated by the Nominating Committee. That said, it is time to thank him for his past service and send him off into retirement. I'm sure he is a fine person, an excellent shot, and a colorful character as are all of the old Texas Rangers. His comments about semiautomatic firearms and magazine size to the Texas Monthly in 2007 (see video clip below) are just the sort of ammunition our enemies would love to exploit. On the gun boards around the country, there are many "fire Jackson" threads. As an example, see this one from Arfcom. Even MSNBC has noticed this and did a post on it entitled, "Young guns target 'old school' NRA board member." At this time in our fight for the Second Amendment, we need media savvy directors who are not going to tripped up by reporters with "gotcha" questions. Joaquin Jackson is not one of them. While his heart probably is in the right place, I just don't think he helps the cause and should not merit re-election as a result. The New York Post reported yesterday that sources within Gov. Andrew Cuomo's administration are blaming the Brady Campaign and Bloomberg's people for all the problems with the new NY SAFE Act. That is, of course, beyond the fact that the bill was rammed through both houses of the New York State legislature with very no discussion. A Cuomo administration source is flatly denying the governor’s claim that his new anti-gun SAFE Act was carefully drafted, saying the governor himself wasn’t even aware of some provisions when it was hastily enacted into law. “The governor thought the limit on the size of [gun] magazines would only apply to assault-style rifles, not to handguns,’’ said the source. The legal sale of virtually all semiautomatic handguns will soon be impossible because Cuomo’s law limits the size of bullet-holding magazines to seven shots, virtually none of which are manufactured for sale. As Michael Bane has reported many times, the new gun control bills in Colorado were drafted by Bloomberg and his people and have definitions that are peculiar to New York law and not Colorado law. This especially relates to the definition of transfer of a firearm. Meanwhile back in February, in Minnesota, Rep. Alice Hausman, the prime sponsor and ostensible author of HF 241 - the Minnesota "assault weapons" (sic) ban - left the hearings on her own bill and let Heather Martens, a lobbyist from the gun control group Protect Minnesota, explain the bill. Hausman told a reporter later that she really didn't understand her own bill. That bill also had a different definition of "transfer" as well. As used in this section, "transfer" means a sale, gift, loan, assignment, or other delivery to another, whether or not for consideration, of an assault weapon. When the BATFE speaks of transfer of a firearm, they mean the transfer of ownership or title. Under normal commercial law, a sales transaction or transfer of title requires an offer, an acceptance of that offer, and the offering of consideration. Consideration is the cash or other remuneration paid for the item. Without those three actions, the transaction or transfer is void and didn't occur. Notice that the Minnesota law explicitly removes the third element from their definition of transfer. I'm sure a close examination of any of the other gun control bills involving semi-automatic firearms, magazines, and background checks that have been introduced in many state legislatures would show these same similarities. What Michael Bloomberg and his billions can't achieve on a national level might be achieved on the state level if we aren't on guard. As Michael Bane said to Tom Gresham on Sunday during his interview on Gun Talk, they were blindsided in Colorado. UPDATE: It seems like Mayor Bloomberg isn't pleased with the reports that Cuomo is blaming the drafting of NY SAFE on him. Asked about that criticism today, Bloomberg erupted in anger. "What did we do, put a gun to their head, if you pardon the pun, and force them to write legislation?" he said, during a press conference in Brooklyn about helping the unemployed get jobs. "Is that the allegation? That we were up there with automatic weapons with expanded capacity magazines forcing them to write a bill?" "That's the kind of journalism that I find troublesome," he continued. "You've got a source that isn't willing to put their name on the bill and the reporting of it wasn't in the context of, is that credible? But they were forced by guns, or a knife at their throat, to take our ideas. If they took our ideas, I'm flattered. I hope they did. And I don't know whether they did or didn't, and I don't know whether they got it accurate or not." In a latter statement from one of Bloomberg's press spokesman, they said they wanted micro-stamping in NY SAFE but never said anything about magazines. Hmmm. Jacob at GunpoliticsNY.com has more on this along with some analysis. Sebastian discusses this buck-passing and the reliance on polling by some politicians in a post this afternoon. I suggest reading both. I Need Me A M&P17 Warrior Pistol! Andrew Tuohy, in the guise of his alter ego, Rick Taylor, introduces us to the M&P17 Warrior in the video below. It's the illegitimate love child of a Glock, an M&P, and a 1911. I don't know where I can get one of these but I know I need one if I'm ever to be a Ninja Warrior Tier One (Blog) Operator. The National Law Journal released its list of the 100 most influential lawyers in America. Listed amid the partners at the DC mega-firms, former Solicitor Generals, the Attorney General of New York, was Second Amendment attorney Alan Gura. He is called the master of gun litigation. Meet the master of gun litigation. Alan Gura surprised gun-control groups in 2008 by winning a 5-4 U.S. Supreme Court decision overturning D.C.'s 33-year-old handgun ban. The decision blasted away decades of precedent. In 2010 came another 5-4 ruling overturning Chicago gun laws and expanding the reach of the Second Amendment. Last year Gura, 42, persuaded the U.S. Court of Appeals for the Seventh Circuit to strike down a Chicago law forbidding individuals from carrying guns in public. With Congress and state legislatures considering new gun-control laws in light of the Newtown, Conn., mass shooting, Gura's services are likely to be even more in demand. In an interesting symmetry, Alan's opposing counsel in the Heller case, Walter Dellinger, made the list as did former Chicago mayor Richard Daley whose anti-gun laws led to the McDonald case. Another attorney with sterling Second Amendment credentials making the list is Prof. Eugene Volokh of UCLA and the Volokh Conspiracy blog. Attorneys were selected for inclusion on the list based on five criteria - political clout, media presence, thought leadership, business leader, or legal results. Alan Gura was chosen based upon his legal results. Sphinx Arms of Interlaken, Switzerland, who is affiliated with the company making the KRISS Vector, is taking great issue with a report on Swiss National Television reporting that it developed a technology for firearms and ammunition tracking. Sphinx denies developing any such technology and says the developer is actually another Swiss-based company Nano-ID Security Systems. Moreover, the TV report said the technology allows tracking from the air up to a kilometer away which Sphinx says is totally inaccurate. Interlaken - 25.03.2013 - Sphinx Arms denies the information provided during a segment of the Swiss National Television's news, wrongly stating that it had developed a ground-breaking technology to be used for firearms and ammunition tracing. This technology has been developed by Nano-ID Security Systems, a Swiss based company, which has requested Sphinx Arms to test and evaluate this technology only in conjunction with a project for sensitive material tracing and authentication in Switzerland. One of the key features of this technology is to prevent alterations or defacing of serial numbers. Sphinx Arms confirms that no identification solution has been deployed and will not be deployed in any of its firearms produced and exported to countries out of Switzerland, unless mandated by law from a sovereign country or state. A project, exclusive to Switzerland, is currently being evaluated as a potential marking solution for special categories of firearms. The adoption of such a marking solution, based on Switzerland's political system, would first require to be submitted to Swiss citizens for voting and adoption, prior to its deployment by Swiss authorities. As a Swiss based manufacturer, Sphinx emphasizes that it will comply with any Swiss state and federal laws, as well as foreign government policies that would be required for firearms importation, exportation and distribution. The Nano based identification system, applied on firearms, does not allow any form of remote identification, real-time tracking or energy output, making it impossible to transmit or compromise sensitive data. Data can only be accessed through specific readers, similar to a bar code system, that are only made available to Law Enforcement and Governmental entities which would require a maximum of 10 inches of distance, with an unobstructed line of sight, between the reader and the tag to be effective. GearScout has more on the controversy including a link to the German language report. Greg Hickok - Hickok45 on YouTube - decided to test out Vice-President Joe Biden's advice that a double barrel shotgun is the best thing for home defense. He compared its ease of use and effectiveness to the AR-15 with a standard capacity magazine. Greg didn't fire through a door or shoot into the air as Mr. Biden famously suggested. Greg decided, unsurprisingly, that the AR-15 would be his choice for home defense. It has less recoil, it is easier to reload in a stressful situation, it provides more rounds of ammunition, and it would be more effective against multiple attackers as in many home invasions. The double barrel shotgun, by contrast, would have significantly more recoil, requires aiming - not mere pointing - to be accurate, has limited capacity, and would be prone to difficult reloads in stressful situations like when facing home invaders or other intruders. One of the objections that some might raise to the AR-15 as compared to the double barrel shotgun is the issue of over-penetration. Olympic Arms conducted tests on this and also examined other studies comparing penetration of the .223 versus typical handgun and shotgun rounds. They found that the 5.56/.223 55 grain HP tended to break apart in drywall. The results of another test are shown here. This test used five different .223 rounds. Like all things, it comes down to the choice of ammo. The state of Colorado has been saddled with a number of new gun control measures ranging from restrictions on standard capacity magazines to universal background checks. This has so dominated the news regarding gun rights in that state that I almost forgot about another story that has pretty much flown under the radar. Last August, the Bureau of Alcohol, Tobacco, Firearms, and Explosives moved around a number of field division heads. The Denver Field Division got a new Special Agent in Charge whose name should be very familiar to readers of this blog - Andrew Traver. At the time of his transfer from Chicago, Traver was still the official nominee to become the Director of BATFE. I know it is just a coincidence that Traver is the SAC of the Denver Field Division and that Colorado is now saddled with new gun control laws. Still you have to wonder if Mr. Traver was doing any behind the scenes lobbying for new gun control laws. Earlier today, I hit my one millionth visitor. I'm a little stunned and a lot gratified that so many people thought what I had to say was important enough that they paid this blog a visit. To everyone who has taken time to read this blog, thank you from the bottom of my heart. When I started this blog on May 19, 2010 after the NRA Annual Meeting in Charlotte, I had absolutely no idea that it would grow as it has. I am the first to say that it would not have grown as it has if it wasn't for both luck and for links, referrals, and advice from other bloggers. I want to give special thanks to Sebastian at Shall Not Be Questioned, Chance at SayUncle, Michael Bane, Gun Rights Examiners David Codrea and Kurt Hofmann, Mike Vanderboegh at Sipsey Street, Glenn Reynolds at Instapundit, Sean Sorrentino at A NC Gun Blog, Linoge at Walls of the City, and Thirdpower at Days of our Trailers. They linked to me early and often and I will always be appreciative of that. To them and to every other blogger, thanks! Finally, the Complementary Spouse has provided me with encouragement from the start. She has been a sounding board, an editor, and a proofreader. She has heard me rant and rave about this politician and that gun control bill. Like all good women, she has listened patiently and kept me grounded. I will never be able to thank her enough. I guess this leaves just one more thing to do to close out this post - and I'll leave that to Carly. Today, in a shocking development, the head of the National Rifle Association appeared in public with someone who knowingly and willingly flouted the District of Columbia's stringent gun control laws. Gun control proponents have made video of Mr. LaPierre's meeting with this gun law violator public and have disseminated it nationally. It is shown below. Of course, the person Wayne LaPierre met with was the host of NBC's Meet The Press, David Gregory. It was back in December after the Newtown shootings that Mr. Gregory waved a 30-round AR magazine in Mr. LaPierre's face during an earlier episode of Meet The Press. Under District of Columbia law, possession of any magazine with greater than a 10 round capacity is forbidden. However, in a decision that proved some people are more equal than others, DC Attorney General Irvin Nathan declined to prosecute Mr. Gregory's violation of DC law. This past week Gov. Bob McDonnell (R-VA) signed a bill that would make information about concealed handgun permit holders in Virginia private. The new law forbids clerks of court from disclosing the name and other information concerning concealed handgun permit holders except to law enforcement. Earlier legislation had forbidden the release of this information by the Virginia State Police. However, most concealed handgun permit information resides with the commonwealth Circuit Courts. That law was in response to the publishing of the names of concealed handgun permit holders by the Roanoke Times back in 2007. SB 1335 was introduced by Sen. Mark Obenshain (R-Harrisonburg). The bill was given two thumbs up by the Virginia Citizens Defense League. Obenshain's original bill was more narrowly focused. It would have shielded from disclosure personal information about permit holders who were under the protective orders generally granted to people threatened with domestic violence. The bill easily cleared the Senate. It was then overhauled by a House of Delegates subcommittee, which broadened it to include all concealed-handgun permit holders. Obenshain expressed support for that change, which upset advocates for gun control and open government. One of the things that spurred this legislation was the publication of the names and addresses of pistol permit holders in New York by the Journal News. It is my hope that North Carolina legislators will now follow suit in this session of the General Assembly. The bills there appear to have good support and with Republican control of both houses are likely to pass. It has been a busy day for gun rights litigation. On the down side, the 4th Circuit Court of Appeals overturned the decision in Woollard v. Gallagher which had overturned the State of Maryland's "good and substantial reason" requirement for the issuance of a carry permit. In brief, that court found that Maryland's interest in public safety met the standards of intermediate scrutiny. I have not read the full decision so I will defer to Professor Eugene Volokh and Second Amendment attorney Dave Hardy for their learned commentary on the decision. The court claims that it’s not deciding whether the Second Amendment right to keep and bear arms in self-defense extends to carrying a gun outside the home. Rather, the court concludes that, even if such a right exists, Maryland’s licensing scheme — which requires a “good and substantial” reason for a license to carry and which doesn’t treat a general desire for self-defense as an adequate reason — passes intermediate scrutiny. But it seems to me that means the court is thereby deciding that the right to keep and bear arms doesn’t extend to carrying outside the home for self-defense. If a court lets the government deny the ability to carry guns outside the home for self-defense to nearly everybody, the court is in essence saying there is no such right to carry. I cannot think of any other right considered a fundamental right, whose exercise can be (1) punished unless the person receives a government permit and (2) there are no standards for the permit issuance beyond a government official's feelings. I quite agree with Sebastian that this one is destined for the Supreme Court. This combined with Kachalsky and the twin Illinois cases of Shepard v. Madigan and Moore v. Madigan present a split between the circuits. There is no word yet from the Second Amendment Foundation or Alan Gura but I cannot believe they won't appeal. In more positive news, word comes from Louisiana that the state's felon in possession law was struck down as violating strict scrutiny. In November 2012, the voters of Louisiana overwhelmingly adopted a provision to their state constitution that said, "The right of each citizen to keep and bear arms is fundamental and shall not be infringed. Any restriction on this right shall be subject to strict scrutiny." Finally, the NY State Rifle Association - the NRA's affiliate in that state - along with a number of other organizational and individual plaintiffs filed suit in US District Court for the Western District of New York challenging the new NY SAFE Act. The defendants include Gov. Andrew Cuomo and Attorney General Eric Schneidermann among others. The suit seeks a declarative judgement and injunctive relief based upon the law violating the right to keep and bear arms under the 2nd and 14th Amendments, the equal protection clause of the 14th Amendment, the Dormant Commerce Clause, Article I, § 8 of the Constitutions, and the due process clause of the 14th Amendment. The lead attorney in the lawsuit is noted Second Amendment attorney Stephen Halbrook. The complaint can be found here. Cam Edwards of NRA News interviewed Duane Liptak of Magpul yesterday after Gov. John Hickenlooper (D-CO) signed HB 1224 into law. Mr. Liptak is the Director of Product Management and Marketing for Magpul. Mr. Liptak had a number of interesting comments during the course of the interview. First, Magpul will be going with a multi-state, multi-location manufacturing approach. While they haven't released just where they are going, certain sites have already been selected. They plan a phased move out of Colorado with the magazine manufacturing being the first part of their company to move for obvious reasons. When asked about their current employees and the impact the move will have on them, Mr. Liptak said that many of the current employees had expressed a desire to move with the company to the new locations. He seemed rather gratified by this loyalty of the employees to Magpul. Magpul met with a number of state legislators during the fight against HB 1224. While Magpul presented facts and legal opinions as well as stressing the economic repercussions of the bill, this didn't seem to make any headway with a number of the Democrats. Mr. Liptak noted that every time they went to the state capitol, they always ran into lobbyists from Bloomberg and MAIG. He said they were everywhere. It is a sad day when a New York billionaire can buy a western state legislature so easily. It reminds one of the railroad barons in Frank Norris' The Octopus so dominated California of the late 19th century. While I'm not a big Glock fanboy - I only have a Glock 22 Gen 2 police trade-in - they sure do make entertaining ads. The latest features a strung out guy attempting to wrong a convenience store. Unfortunately for him, the lady behind the counter has a Glock. Bob Mayne of the Handgun World Show has a nice video up that destroys the myth that all you have to do is point the shotgun in the general direction of the intruder and fire. He shoots his Remington 870 from 5 yards - a good inside the house distance - and gets a nice 3 inch group. Bob has an excellent podcast that is one of my weekly listens. It is part of the Gun Rights Radio Network and you can find the show homepage here. It's good to have a story today that doesn't deal with stupid politicians for once. IWI-US Inc. has started shipping their TAVOR SAR bullpup rifles to dealers across the United States. I know there was a good deal of excitement over this rifle at the SHOT Show and now they are heading out to dealers. 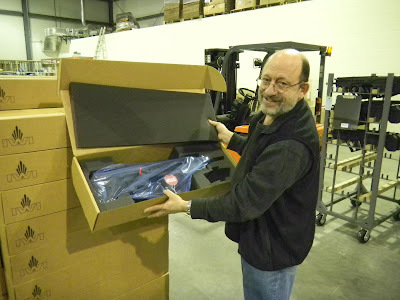 Harrisburg, PA (March 21, 2013) - IWI US, Inc., a subsidiary of Israel Weapon Industries (IWI), has commenced shipments of the long-awaited TAVOR® SAR bullpup rifles to their distributors. Shipments have been carefully choreographed for product arrival to various distributors across the country at relatively the same time. IWI US continues to ramp up production and shipping in the coming weeks. An assortment of black and FDE TAVOR® SAR rifles in 16.5" barrels and several black, left-hand rifles along with a small quantity of the TAVOR® SAR IDF model are among the initial product shipments. The body of the TAVOR® SAR, specially designed for the US market, is crafted from high strength polymer, and will be offered in black or Flat Dark Earth colors. Features include full ambidextrous controls, removable 16.5" or 18" barrels, Cold Hammer Forged (CHF) CrMoV chrome-lined barrels with 1:7 twist, a full-length top-mounted integral Picatinny rail and another short rail forward at a 45° angle for mounting accessories. A stock left-hand model with 16.5" barrel and an "IDF" model with integral MEPRO-21 reflex sight round out the product line. The TAVOR® SAR uses standard AR-15/M16 magazines and can be easily field-stripped into sub-assemblies for routine maintenance. The standard caliber is 5.56 NATO (.223REM), with conversion kits available in 9mm Luger Parabellum and 5.45X39mm. MSRP starts at $1,999.00. IWI US, Inc. is a subsidiary of Israel Weapon Industries (IWI), which for many years has operated in the global Defense and Law Enforcement markets. IWI US, Inc. was established in 2012 in order to offer the hig hest quality and most advanced products available - as well as to provide a high level of service and support - for American consumers. Located in a 21,000 sq. ft. facility in Harrisburg, PA, IWI US has appointed a very experienced team of senior managers to oversee its operations in the US market. The IWI US line of products includes several configurations of the TAVOR ® SAR, and the UZI ® PRO Pistol. When Gov. John Hickenlooper (D-CO) signed into law Colorado's forthcoming ban on standard capacity magazines, he took a page from Presidents Bush and Obama and issued a signing statement with the bill. The signing statement notes that Gov. Hickenlooper consulted with the Colorado Attorney General's Office on the bill and how it should be construed narrowly by law enforcement. This is nothing but an attempt to push off some of the blowback he is receiving or will receive about this law on to the Republicans. No Republican legislator voted for this law and were adamant in their opposition to it. However, Colorado's Attorney General, John Suthers, is a Republican. In my opinion, Attorney General Suthers should not provide any political cover to Gov. Hickenlooper and should tell him the law says what it says. It will only be when Colorado voters realize just how draconian this law really is that they will turn out the Democrats responsible for it. Narrow enforcement of this law may make it tolerable over time. Strict enforcement of the law, despite the harm it will do, will turn this law into a 21st Century Intolerable Act and force its repeal. It will also make court challenges more likely to win especially if the "readily converted" provision makes many firearms unusable. North Carolina HB 17 went before the House Judiciary A Committee yesterday. That bill would provide for the confidentiality of pistol purchase permit and concealed handgun permit data. It would have also legalized concealed carry by non-drinking patrons in restaurants and eating establishments. The Judiciary A Committee saw fit to pass a substitute amendment which dropped restaurant carry. Word coming to Grass Roots North Carolina is that this change was at the behest of Speaker Thom Tillis (R-Mecklenburg) who may have higher aspirations in 2014. GRNC is asking that people contact both Speaker Tillis and their own representative to ask that restaurant carry be restored to HB 17. The North Carolina House Judiciary A Subcommittee today stripped restaurant carry out of House Bill 17, leaving only the language which would remove concealed handgun and handgun purchase permits from public record, before passing the bill out of committee. What remains now moves to the floor. Both bill sponsor Representative Justin Burr (R-Montgomery, Stanly, GRNC ****) and Judiciary subcommittee chair Rep. John Blust (R-Guilford, ****) made it clear that the Proposed Committee Substitute used for the deed was not of their making, but rather from "higher up" -- the "higher up" in question being Speaker Thom Tillis (R-Mecklenburg, ****) himself. Said Tillis by email: "We have delivered legislation to the Senate [in the last session] and we look forward to the Senate responding in kind this session." While Tillis is correct in noting that during the 2011-2012 session, the House under his leadership passed HB 111 for restaurant carry, only to have it stalled by Senate President Pro Tem Phil Berger (R-Guilford, Rockingham, ****), numerous House members have complained about the lack of movement in potentially contentious legislation, further speculating it may be related to Tillis' aspirations to the U.S. Senate. Representatives from Tillis' office deny this, of course, noting they have already moved contentious legislation and allowing that they might move restaurant carry if either the Senate says they too will act on the bill, or if it is received from the Senate. Below you will see our recommendation that you contact both your House representative and Speaker Tillis to tell them to move restaurant carry, but please understand the Speaker has not dismissed the idea, so do not treat him as an opponent (yet). SB 342: "Amend Gun Laws"
Meanwhile, restaurant carry lives in the Senate. Introduced by Judiciary Co-Chair Senator Buck Newton (R-, Johnston, Nash, Wilson, ****) and sponsored Dan Soucek; and Jeff Tarte; (primary) and Tom Apodaca; Andrew C. Brock; Warren Daniel; Ronald J. Rabin; and Shirley B. Randleman (cosponsors), the bill encompasses not only the restaurant carry language drafted by GRNC and Rep. Mark Hilton in the last session, but also a "cleanup" of the parks carry language currently being tortured by municipalities to ban guns in whole parks. Given that the Senate stalled restaurant carry in HB 111 last year, the fact that Judiciary Co-Chair Newton and Rules Chair Tom Apodaca have signed on as sponsors bodes well for the bill. See below for recommendations on action. Contact Speaker Thom Tillis at 919-733-3451 and Thom.Tillis@ncleg.net. Once again, Tillis is not yet a lost cause, so BE POLITE. Contact your NC House representative: Tell them to contact Speaker Tillis and remind him that gun owners help put him in his position for the purpose of LEADING on this issue. Have them ask him to return restaurant carry to HB 17. To find your House rep, CLICK HERE or go to: http://www.ncga.state.nc.us/representation/WhoRepresentsMe.aspx Once there enter your address into the text box for NC House. Contact your NC Senator: Tell them to encourage Senate President Pro Tem Phil Berger to give SB 342 a prompt committee hearing, rather than waiting until the last minute. To find your Senate rep, CLICK HERE or go to: http://www.ncga.state.nc.us/representation/WhoRepresentsMe.aspx Once there enter your address into the text box for NC Senate. While I appreciate that the North Carolina House, under your leadership, moved House Bill 111 for restaurant carry in the previous session, only to see it die in the Senate, I also expect you to realize that gun owners played a huge role in making North Carolina the only battleground state to repel the Obama political machine and elect conservative, pro-gun leaders. We elected you to lead; now we expect you to deliver. Now is not the time to dither about which chamber should be the first to move what is a top priority for North Carolina gun voters, but instead to lead decisively and by example. That means returning restaurant carry to House Bill 17. I will spare you the facts about concealed handgun permit-holders being model law-abiding citizens: You already know them. Instead, my message is this: Please move restaurant carry. I will be monitoring your actions via Grass Roots North Carolina legislative alerts. Sheriff Jim Wilson is not only funny and wry but is also savvy enough to understand the other side. The quote of the day deals with our civil rights opponents. IF YOU THINK THE ANTI-GUN POLITICIANS HAVE GIVEN UP, you are lucky that stupidity isn't punishable by death. Get ready for the flank attack, the ambush, and dirty politics, as usual!!! The gun prohibitionists are self-righteous yet never let righteousness get in the way of using whatever means necessary to get their ends. Magpul Industries released a statement today on Facebook after Gov. John Hickenlooper had signed HB 1224 into law along with two other gun control measures. I must say I am a little shocked at the number of magazines that they have already shipped under the Boulder Airlift as well as the number they plan to ship before the July 1st implementation date of the new law. All I can say to the anti-gunners - good luck trying to enforce that loser of a law. Sheriff John Cooke of Weld County was correct - it is unenforceable. With the signing of the HB 1224, we want to reassure Colorado residents, now officially in occupied territory, that the "Boulder Airlift" will continue until we can no longer legally ship to CO residents at the approach of the July 1 deadline, so long as demand continues. We are looking at additional ways to give Coloradans the opportunity to buy the magazines they need prior to the enactment date, as although we've been swamped with tens of thousands of orders, our shipping department limitations have only allowed us to get a few hundred thousand magazines out to CO residents...a small portion of our monthly production. We'll continue to support the Airlift as long as demand exists, and up to the active date of the legislation, and we've allocated a little over a million magazines for the effort up to that point, give or take. Customers in the rest of the country should rest assured that the airlift only takes a small portion of our production, and magazines and other products are continuing to ship to the rest of the nation. Our transition to a new home will occur in a phased and orderly a manner to allow us to continue to serve our customers during the move, as well as to allow an orderly transition for affected employees. We are actively working on those plans. I had read that Colorado Senate President John Morse (D-Colorado Springs) was arrogant but I never quite got it until I saw him in the video below. It is after the signing ceremony at which Gov. John Hickenlooper (D-CO) signed three gun control bills including the new magazine ban. Morse starts out by saying, "Zero, the number of guns these bills take from law abiding citizens." While he is technically correct, the readily converted provision of HB 1224 would make the part of the semi-automatic firearm that holds the ammunition banned rendering it useless. After seeing the parades of big-city police chiefs testifying at gun control hearings, it is refreshing to see a police chief that not only believes in his citizen's right to self-defense but is doing something to encourage it. Thrall (TX) Police Chief Whitney Whitworth says he wants residents in his small Texas town to be able to protect themselves. He freely acknowledges that the police can't always be there. So, to promote self-defense in his town, he is offering free Texas Concealed Handgun License classes to town residents. Chief Whitworth is a Texas certified CHL instructor and is offering the classes on his own time. Now that is what I call a civic-minded police chief! Today, in a move that guarantees that Colorado will lose at least 200 jobs, Governor John Hickenlooper (D-CO) signed three gun control bills. Among these bills was HB 1224 which bans magazines with a capacity greater than 15 rounds or that could be readily converted to hold more than 15 rounds. Whether it was meant to be symbolic or not, the signing comes eight months to the day after the shooting in a movie theater in Aurora, CO.
UPDATE: Michael Bane issued a warning to gun owners who either live in Denver and its adjacent towns or in Boulder. On today's Downrange Radio podcast, Michael, citing private conversations with his friends in law enforcement, warned that police in Denver and Boulder will be enforcing the Colorado Magazine Ban to the letter of the law. Listen to his podcast for more info. Frankly, it would make me very hesitant to visit the Denver/Boulder area. Now that Gov. John Hickenlooper (D-CO) has signed Colorado HB 1224 which now bans magazines with a capacity - or the ability to be readily converted - of over 15 rounds, the gun prohibitionists at Mayor Bloomberg's Illegal Mayors are crowing. I guess they feel they got their money's worth. Would that these gun prohibitionists cared so much about the lives and jobs of the employees of Magpul and their suppliers that will be leaving Colorado. Sheriff John Cooke of Weld County, Colorado has been out front in his opposition to the new gun control laws in that state. He led a delegation of sheriffs in testifying against the bills before the Colorado legislature earlier this month. Now he has announced that he doesn't plan to enforce the new laws - and he is within the letter of the law. "Why put the effort into enforcing a law that is unenforceable?" Cooke told The Denver Post on Monday. "With all of the other crimes that are going on, I don't have the manpower, the resources or the desire to enforce laws like that." Cooke said this is the first time in his law enforcement career that he has made the decision to not enforce a law. However, Cooke said, if a person who uses a gun outfitted with a magazine able to hold more than 15 rounds in a crime, that person will be charged under the new law. Both Dave Kopel, a professor at the University of Denver law school, and Richard Collins, a professor at the University of Colorado law school, agree that it is within a sheriff's prerogative to decide which laws are given priority for enforcement. "His primary obligation is to obey the U.S. Constitution and the Colorado Constitution, and he appears to be especially conscientious in making sure he does so," Kopel said. While it may be one of the first instances related to gun-control measures, sheriffs in the past have refused to uphold laws they did not agree with, such as prohibition, Jim Crow and immigration, Kopel said. "He couldn't be punished for not upholding these laws, but he could be ordered by the court to uphold them," said Richard Collins, a University of Colorado at Boulder law professor. "Whether anyone would bring a lawsuit to get the court to order him is pretty uncertain." Given that Sheriff Cooke is one of the 62 elected (out of 64 total) sheriffs in Colorado, Kopel noted that the primary penalty for noncompliance would be either a recall or to be voted out of office so long as he is faithful to both the US and Colorado constitution. Of course this just galls the gun prohibitionists in the Colorado legislature. State Sen. Morgan Carroll, D-Aurora, Senate sponsor of the universal-background-checks bill, said a sheriff unwilling or unable to fulfill the duties of the position should step down. "They are putting politics above their job," she said. That last statement is particularly rich coming from the likes of Sen. Carroll who has her eyes set on the governor's office. "Jumped-Up Refugee From A Zoning Board"
If This Guy Tries To Sell You An AR, It's A Trap! Is This A False Flag Operation?